General Contractor: The Lane Construction Corp. The project began more than a decade ago when officials began discussing how to improve lighting on NTU’s four runways (three 8,000 feet long, one 12,000 feet long). At the time, LED was just coming onto the market as the most energy-efficient fixture that would meet the airfield’s requirements. 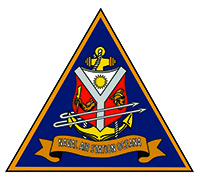 Fortuitously, the U.S. Navy had rebuilt nearby Naval Auxiliary Landing Field Fentress in 2012 with all LED lighting and the same lighting control system planned for NTU. “Fentress became the test bed for what we wanted to do at Oceana, and Fentress has worked out extremely well,” remarks McDowell. 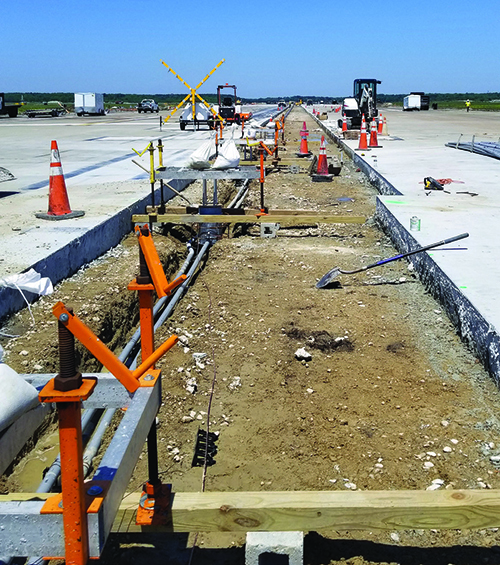 Electrical and lighting upgrades accounted for $80 million of the $120 million airfield project, which was funded through the U.S. Navy Special Projects budget. Construction began in July 2015, and the first LED fixtures were in place within three months. The project also involved the complete reconstruction of runway 14L-32R. NTU is the only master jet base on the East Coast and home to the F/A-18 Hornet and Super Hornet. “It’s a very busy airfield, and supporting the Navy’s mission meant that we could not impact flight operations,” Terry says. 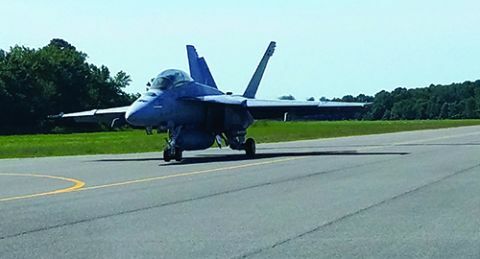 The specific LED fixtures used, L852N Navy Runway C/L from ADB Safegate, are stainless steel and designed to withstand tail hook damage from Navy tactical aircraft such as the F/A-18 Super Hornet. The upgrades place NTU at the forefront of airfield lighting technology, notes Galen Dixon, regional manager for ADB Safegate. 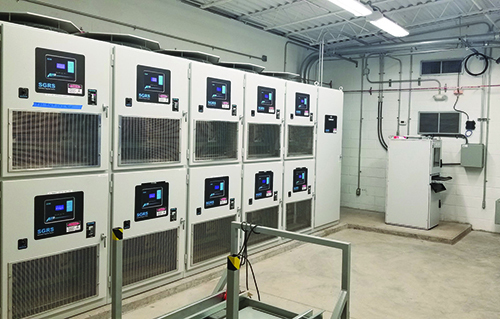 All the electrical vault buildings have been built new or rebuilt, and the company’s Switchgear Regulator System powers the new lighting. According to Dixon, the low-wattage LED products are two to three times more efficient than traditional incandescent fixtures. Average life for the new fixtures should approach 100,000 hours. 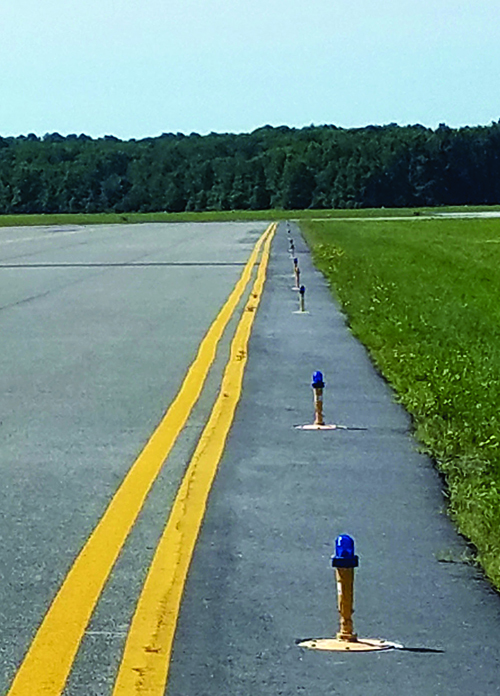 Overall, the project required 350 LED in-pavement runway guard lights, 300 LED airfield guidance signs, 800 Navy runway centerline lights and 500 high-intensity runway edge/threshold lights. LED fixtures were not installed for approach lighting because high-intensity lights had not yet been approved for the application when the project started. When the airport opts to upgrade, it will only have to change the regulator size, notes Nettles. When facing the typical inconveniences associated with ongoing construction, he focuses on the ultimate outcome: a safer, more reliable airfield that features a newly reconstructed runway and completely updated lighting system with accurate as-built drawings and a modern control system.